The Original Floatzac by Fatboy is the perfect companion for warm summer days at the pool and can be used as a swimming object on the water as well as relaxing at the edge of the pool. Made of 50% acrylic and 50% PVC, the Floatzac is waterproof and can be used in the pool, by the lake or in the ocean without any problems. Thanks to the filling of EPS balls, the comfortable beanbag also floats on the water surface. After the bathing experience, the Original Floatzac can be used perfectly as a seat for sunbathing. 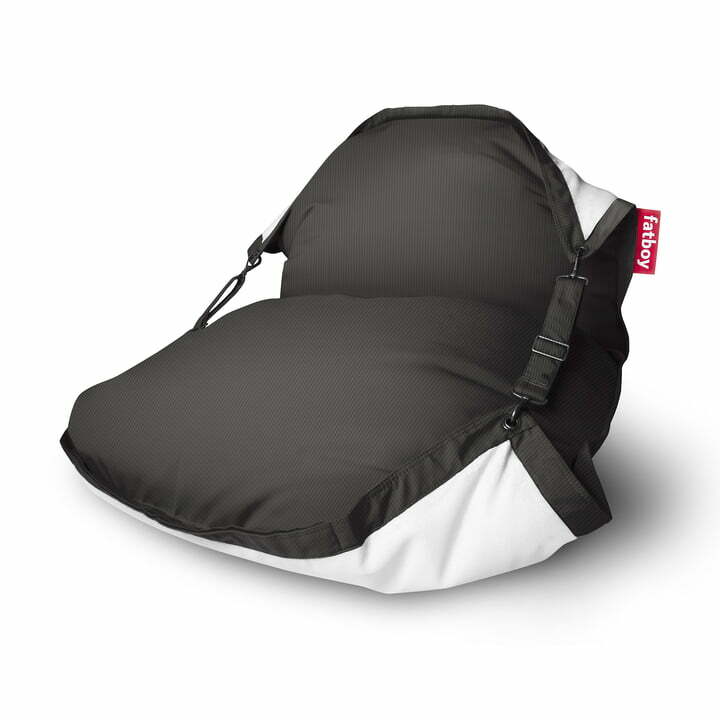 With its two straps, the beanbag can be brought into a curved position to create a comfortable backrest. The EPS balls inside are cylindrically shaped, so they adapt perfectly to the body and retain their shape even after getting up. The fabric is water and dirt repellent as well as UV resistant. For cleaning, it can simply be washed off with a damp cloth and mild soap. The cover is suitable for both exterior and interior use. The Original Floatzac in charcoal by Fatboy in single view. The EPS ball inside is cylindrical in shape, so it adapts perfectly to the body and retains its shape even after getting up.